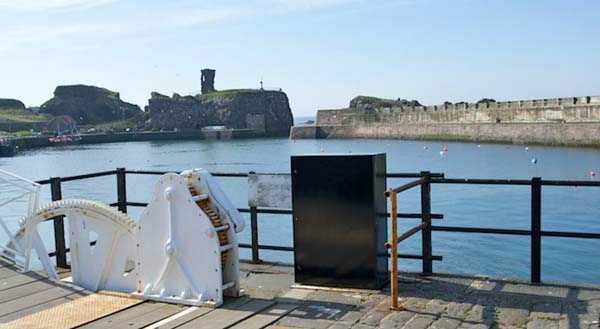 Dunbar is a historic East Lothian market town just 30 miles east of Edinburgh. Once a thriving fishing port and garrison town, it is now a quiet haven for sailors, golfers, and nature lovers. With the glorious Belhaven Bay on the doorstep and the distinct beaches of Tyninghame, Seacliff, North Berwick and Gullane all less than half an hour away, there is a seaside space for everyone. Families will love East Links Farm Park with its new play fort and the children can enjoy tennis, golf, surfing and swimming all in the town. For culture, try the castles of Tantallon, Dirleton and, of course, Edinburgh. Walk on the John Muir Way, tracing the footsteps of the famous environmentalist. Go birdwatching at North Berwick or Aberlady. Try beach riding at Seacliff or Longniddry or micro-lighting at East Fortune. Other nearby attractions are Tantallon Castle and Dirleton Castle, both within 20 minutes or so drive. Berwick upon Tweed and Eyemouth are both interesting towns and St Abbs Head is a great day out - wild coastal walk with sealife. There are sea safaris from North Berwick including boat trips to the Bass Rock and a surf school gives lessons in Belhaven Bay. When the day is over, come back to Dunbar to barbecue in the garden of The Kipper House or walk up into the town for a pub supper or fine meal. With lots to do or peace for doing nothing, East Lothian has it all for a holiday to remember. 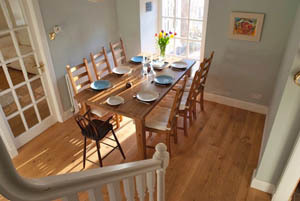 The Kipper House is a pretty, seafront holiday home decorated in a simple, seaside style. 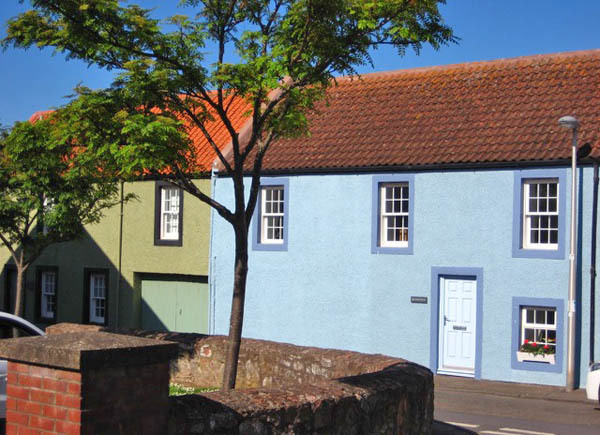 It is a terraced, two storey cottage with a private garden looking on to the East Beach in historic Dunbar. 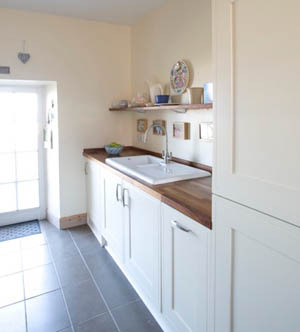 On the ground floor is a dining hall with plenty of space, a fully equipped sunny kitchen with door to the garden and an open plan sitting room and snug. This large room has comfortable sofas and a woodburning stove, perfect for relaxing or enjoying the views from the window seat. There are double French doors which lead out to the garden. 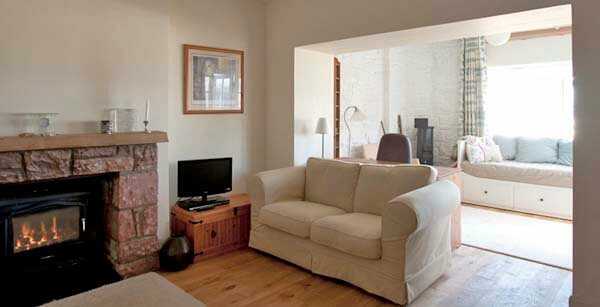 Upstairs, the first floor has two double rooms both with fantastic sea views. 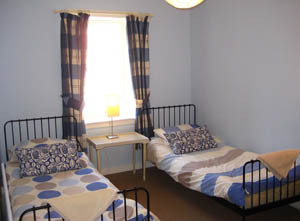 The cheerful twin room has space for a travel cot and the bathroom has a large double ended bath with an electric shower over. Approach from the north or south on the A1. Leave at the Spott roundabout (the 'Asda' roundabout) and head into Dunbar on the Spott Road. Take a left at the T junction and then fork off at the first exit outside a pub/hotel. Take the first proper right turn down Woodbush Brae. Woodbush is the last road on the left before you hit the sea! Driving time from the Spott roundabout - 5 minutes. Welcome pack for the first cup of tea! Basics for start up including toilet and kitchen rolls, washing up liquid,dishwasher tablets, oil, salt and pepper. Bed linen, towels and tea-towels. Change over day is Saturday. Check out time is 11 am and check in after 2pm. 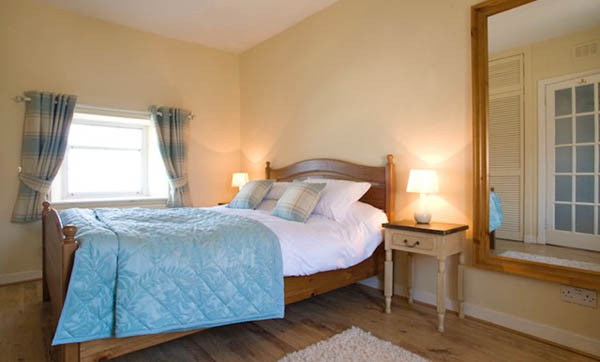 Short breaks are available (min 3 nights) but not generally in the high season. To book this pretty seafront holiday home in Dunbar, click the enquiry button below and view availability and rental prices. 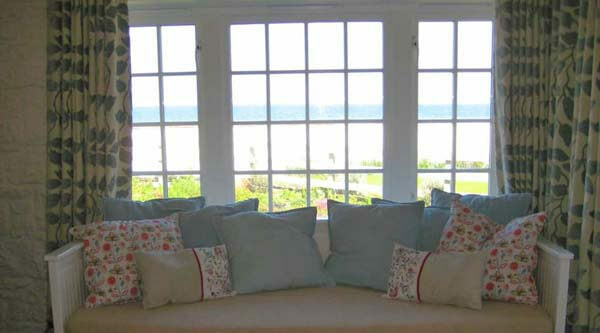 A fabulous house by the sea - the beach is right outside the back door! It's great for a family holiday in Scotland as this part of the country has so much to offer - golf courses, surfing, fishing, sailing, walking, birdwatching and of course making sandcastles on the beach!